A new month means a whole set of fun new events, and there are some great ones coming up in November. 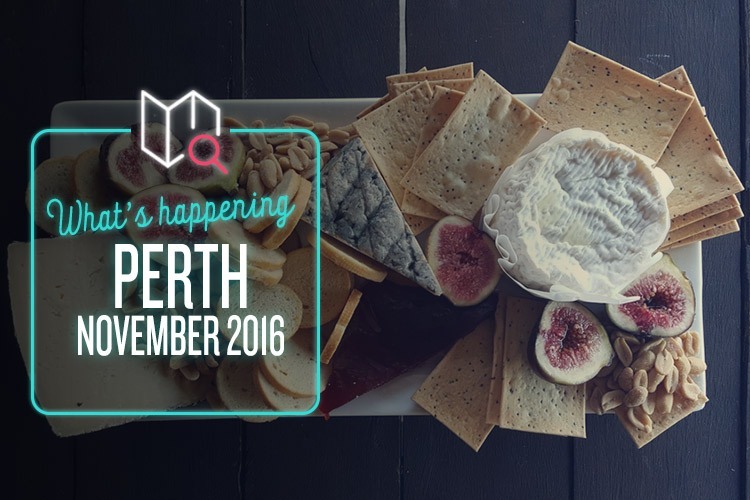 Here’s just a small taste of what Perth has to offer. Australians love their beer. In other news, the sky is blue, water’s wet and the sun is kind of hot. Anyway, any excuse to wander into a field and sample over 150 different brews is fine by us, which makes the good old Perth Craft Beer Fest extremely appealing indeed. The beers are impeccably chosen, hailing from both here and abroad, and the food is presented courtesy of some of the city’s best-loved restaurants. The festival is divided into four ‘sessions’ across three days, with tickets available separately for each. Alternatively, you can be a Big Damn Hero and visit them all with a special season pass (#yolo). First beer, now cheese. That’s two out of three essential food groups, which ain’t bad for one little month! Festival Fromage is your chance to gorge yourself on countless artisan cheeses and all the accompanying wine you can drink. In fact, it’s described as a ‘choose your own cheese and liquor adventure’ – which sounds like the greatest idea ever. The event also features exclusive talks, masterclasses and gorgeously decadent long-table degustations, as well as a lovely ‘Cheese Picnic’ area in which to snack on your newly acquired goodies. Could there brie anything better? The beauty and culture of Cottesloe Beach is always worth celebrating, so we’re glad a specific event has been set aside to do so. By The C is a huge undertaking, so expect a wide array of market stalls, plenty of entertainment, and a bounty of fresh food and drink to suit every palate. There’s also a strong line-up of Australian musical talent to keep us all dancing, including John Butler Trio, Angus and Julia Stone, and Peter Bibby. Plus, aside from all that, you get to spend the day at Cottesloe Beach! What more could you possibly want? It’s tough to explain exactly what Arcadia Australia is, because we aren’t sure there’s ever been anything quite like it before. Still, here goes: it’s a globally flavoured mix of sculpture, dance, theatre, adrenaline, technological wizardry, and enough electronic music to power a small nation. It’s all about bringing people together through pure performance immersion, and it looks genuinely unmissable. After all, where else in Perth can you witness thousands of people dancing beneath a 50-tonne, fire-breathing mechanical spider?